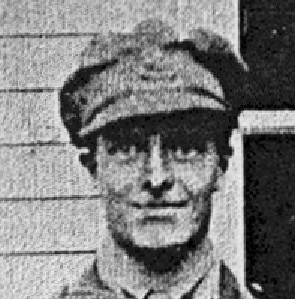 Second Lieutenant Leonard Victor Burrows aged 26 and the son of JR and Florence Burrows of Belper and Husband of Jessie Burrows of Stirton Grange in Skipton, Yorkshire. 5040/235021 Pte. Albert Victor Jackson aged 21 and the son of William and Emma Jackson of Hyson Green in Nottingham. Albert enlisted into the 3/7th Battalion in September 1915 and after service with the 5th Reserve and 1/5th Battalions he was posted to the 1/6th Battalion on 29th January 1918 with the 45th Reinforcement. 82872 L/Cpl Frederick Murfin aged 24 and husband of Nellie Murfin, of 48 Brook St. in Derby. Frederick attested in January 1915 and was mobilised in March 1917 and posted to the 3rd Battalion. He was transferred to the 1/6th Battalion on 20th January 1918 with the 43rd Reinforcement and joined the Battlion in the field on 18th February. 97990 Pte Lewis Spencer aged 19 and the son of George Thomas and Lilly Flora Spencer of Dunston in Lincolnshire. Lewis attested in January 1917 and was mobilised in March 1917. He was initially posted to the 11th Training Reserve Battalion before transferring to the Sherwood Foresters in December 1917. 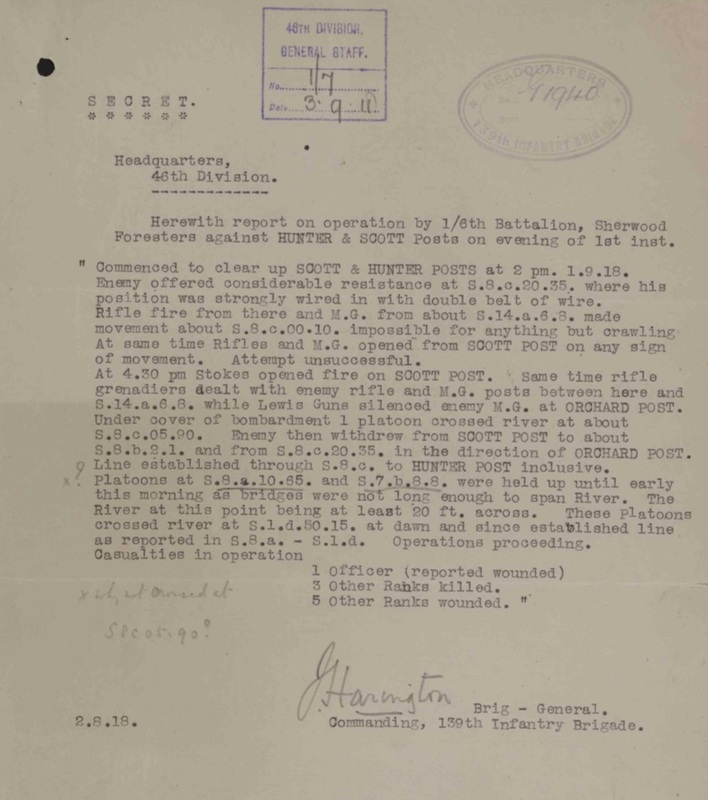 He was transferred to the 1/6th Battalion from the 2nd Battalion on 10th February 1918 with the 48th Reinforcement and joined the Battlion in the field on 25th March. This entry was posted in Notable event and tagged 5040/235021 Pte. Albert Victor Jackson, 82872 L/Cpl Frederick Murfin, 97990 Pte Lewis Spencer, Leonard Victor Burrows on September 1, 2017 by mikebriggs1910.